Lt. Commander Rorke Denver has spent 13 years as a platoon commander and training leader with the Navy SEALs, the country's top special operations force. 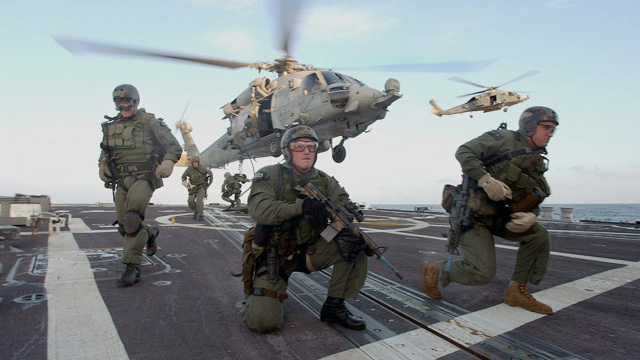 He has led hostage rescue, counterinsurgency and counter-narcotics operations all over the world, and starred as a Navy SEAL in the film "Act of Valor." He joins us to discuss his new book, "Damn Few: Making the Modern SEAL Warrior," and what it takes to make it through SEAL boot camp and on top secret missions. Lt. Commander Rorke Denver, former Navy SEAL, author of "Damn Few: Making the Modern SEAL Warrior," and actor in "Act of Valor"